After five years the case of Edward "Al Capone" begins today. Today, Monday June 17, 2013 the much anticipated murder trial of Edward "Al Capone" Green is expected to begin. Green has been on remand for five years. He was arrested and charged with the murder of 35-year-old Damien Dorival, whose headless body was found on Elmshall Road in June 2008. Dorival's head was later discovered in the Palm Grove River. Officials of the office of the Director of Public Prosecutions (DPP) announced recently that they had written to the Attorney General asking for his approval for hiring a prosecutor from out of Dominica to conduct the trial. 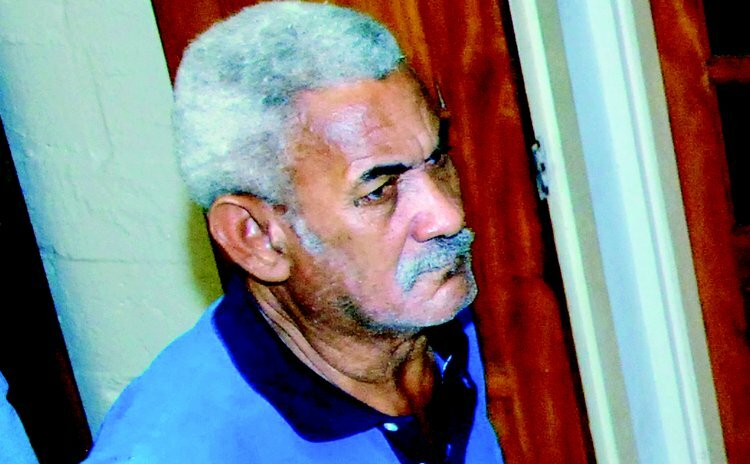 "I have written to the AG asking that someone be brought in to have conduct of that case since I assisted Al Capone when he was arrested in this matter," Julian Prevost, acting DPP stated a few weeks ago. Prevost's predecessor, Gene Pestaina, had also indicated that he did not wish to be part of that case and would be asking for outside assistance. Two weeks ago, attorney general Levi Peter told State-owned DBS radio that government had contracted a lawyer to prosecute at Green's murder trial. The SUN can now confirm that Keith Scotland, a senior and high profile lawyer from Trinidad & Tobago will be leading the prosecution's case. "He is a well-respected lawyer in Trinidad & Tobago and the region, he has also done lots of high profile matters in his country, Trinidad, and also Grenada," the source said. Among these cases were the Maurice Bishop matter and the controversies surrounding Hugh Wildman in 2006. Green had been languishing on remand at the State's prison for five years while his health condition worsened, the Sun reported in April quoting well-informed sources. Attorney-at-law Peter Alleyne is Green's lawyer on record but Alleyne was reported to be unhappy with developments in the case. The paper reported that one "good Samaritan" who visited Green regularly described his situation as "not very good". "Edward was there behind the bars and mesh. He looked no better than when I last saw him. If it is true diabetes will take you out, he is on borrowed time. He can barely see, it seems. I was less than two feet away and he was squinting," the person, who did not want to be named, observed. Lawyer Alleyne said Green had "serious health issues", and there were reports that he sometimes refused to take medication that he needed for his diabetic condition. Efforts were being made, The SUN was informed then, to have a medical doctor examine Green given his frail condition but the source said, the family was taking a hands-off attitude. "They always inquire of his status…but that's about it; he should have seen a private doctor long ago but they are not very cooperative in that regard," the source stated. To many Dominicans, Edward "Al Capone" Green is "a character" with a reputation that may now be "hunting and hurting him", a source said. According to the source, the issue of money was also playing a major role in the defense of Green's case. "Lawyers have to eat, they have bills to pay and do not run an office for free; this is a huge case and he has to be properly defended so people have to be paid to do the job," the source stated. Alleyne, the paper was told, had not been properly compensated since taking charge of the case after Green was arrested.